City of Cards: Blog: Who Doesn't Love a Good Cross-Over? Who Doesn't Love a Good Cross-Over? Sorry for the lack of updates, but a series of colds and a heavy workload have made blogging an afterthought. First, it's CCS awareness week so if you aren't familiar with it, check out The Center for Cartoon Studies, the school that has allowed me to explore and hone my skills as a comic artist in ways I can barely begin to elaborate on. However! I am prepping for Mocca and hopefully in the next month I'll have more information about that. I hope to have a preview book for City of Cards available for the convention as well as some other stuff ready. One thing that's caught my interest lately with a vengeance? Independent wrestling. 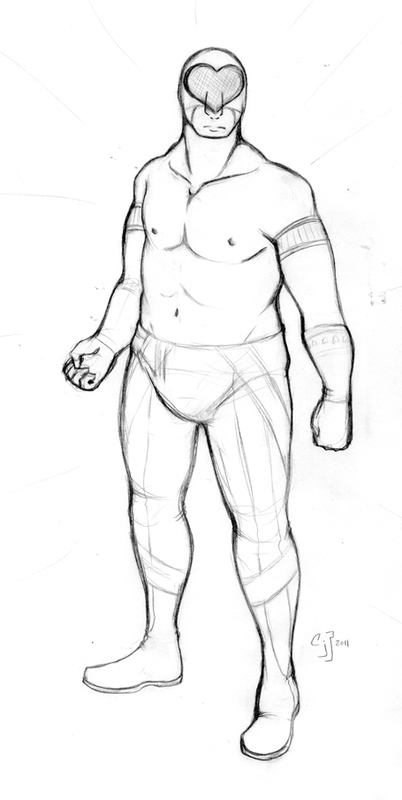 Chikara to be specific. You may have seen the Osirian Portal's viral video popping around but don't be deceived into thinking these guys are anything less than amazingly skilled athletes and entertainers. 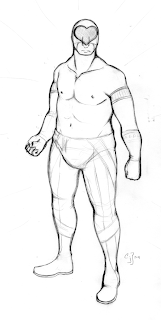 There's also a bit of a cross-over between the Chikara world and the comic world, which is evident through their characters, storylines, DVD covers, and promotion materials. So yeah, independent artists doing the work they love? I'm all for that. Check out Ophidian doing some more of his amazing moves. And while you're at the tube, go ahead and look up some other Chikara videos and their official podcast. You won't be disappointed by any of the wrestlers. 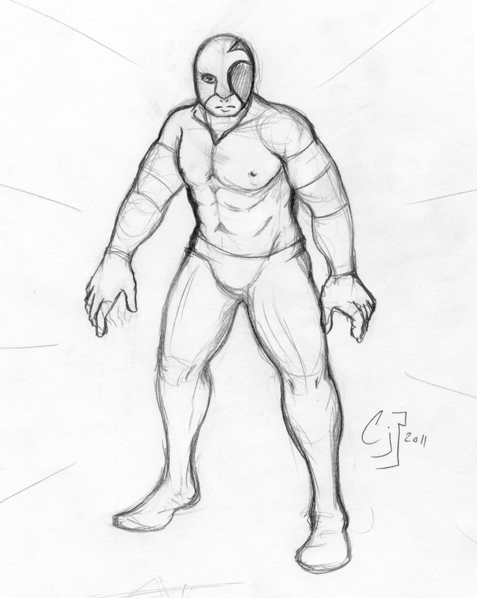 Yeah, once I graduate I plan to do a lot more wrestling/lucha related images. It's like the fun of super hero comics but even moreso. We'll see how much time I have to do much more since I've still got a lot to do to get ready for thesis, graduation, and convention time.